A new photo of missing Nikki Webster has been released by Nottinghamshire Police in an effort to track her down. Nikki, 31, was last seen leaving her house in Mansfield on Wednesday, May 17. Nikki is described as being 5ft 7ins, of a slim build, with long, straight brown hair with pink/purple streaks at the end. 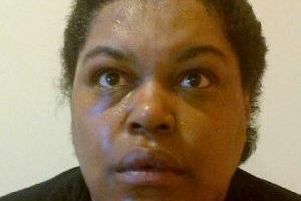 She was last seen wearing grey jogging bottoms and a grey vest. Nikki also has a tattoo of Latin writing on the back of her neck and a tattoo of a shape on her right wrist. If you have seen Nikki or know of her whereabouts call Notts Police on 101 quoting incident number 746 of Sunday, May 21, or phone Crimestoppers anonymously on 0800 555 111.